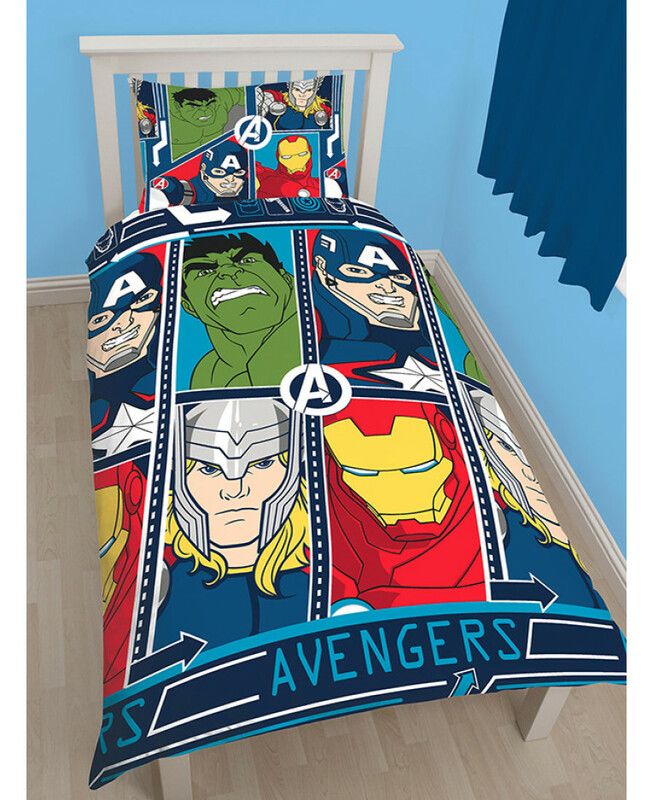 Ideal for any Avengers or Marvel Comics fans! 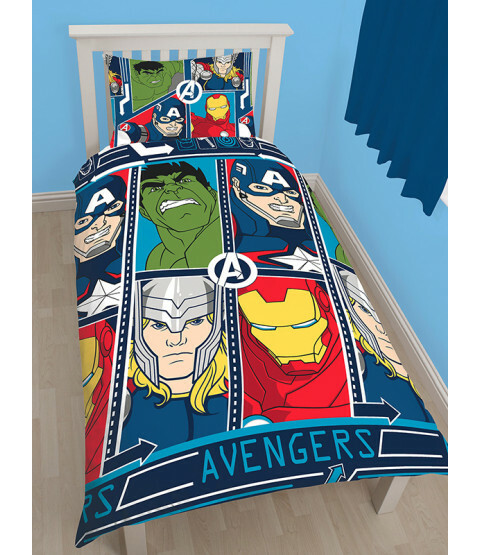 This awesome Marvel Avengers Tech single duvet cover set is a must for superhero and comic book fans! 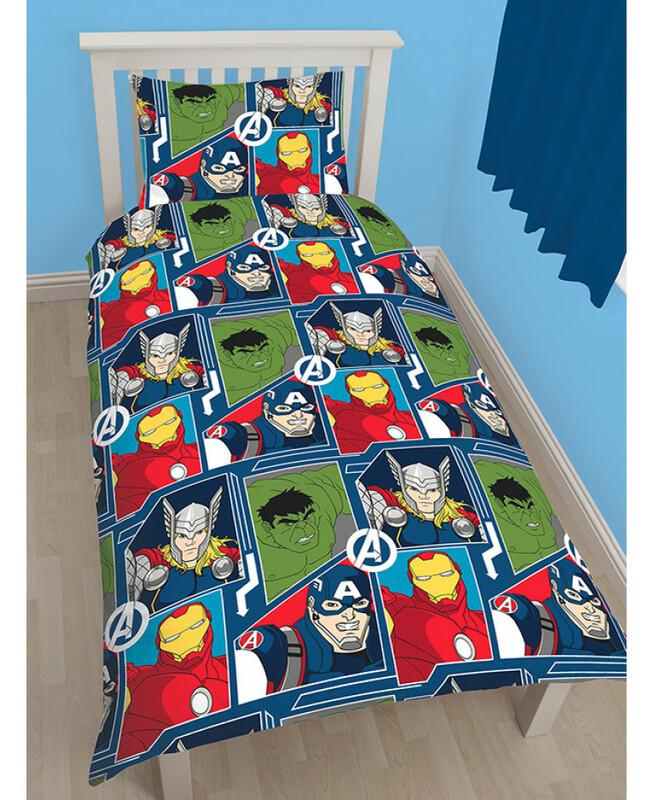 The design features fantastic close up images of Captain America, Thor, The Hulk and Iron Man in a collage style effect on one side, while the reverse has a similar design in a smaller repeat pattern on a dark blue background. This bedding set can be machine washed and tumble dried on a cool setting.